With nearly ten years of coaching and race directing experience, I offer training plans for runners looking to improve their VO2Max, lactic threshold, and overall performance. My training plans are customized to the goals of each individual athlete. In addition to running, I specialize in canicross training. I have represented the United States at the World Championships in the sport of canicross and have served as the US Team Captain. 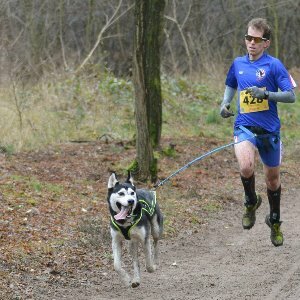 I am a running and canicross coach, focused on improving VO2Max, lactic threshold, and heart rate variability. I have competed at the World Championships in canicross and have served as the US Dog Sledding National Team Captain. I am also a former collegiate cross country and track athlete. My training program focuses not only on cardiovascular fitness, but on injury prevention and cross training as well. I also coach a local speed work group that meets weekly to do some of the workouts together. I have helped both elite and beginner level athletes meet their goals. I ask that athletes have GPS watches and prefer them to have a heart rate monitor (including wrist based HR monitor). Success. Coach Nick Weis has been notified of your message.